BRIDGE STUDY FUNDED. Undersecretary Rolando Tungpalan (right) of the National Economic and Development Authority (NEDA) breaks the news to Rep. Erico Aristotle Aumentado (center) of Bohol’s 2nd District and a British investor that the feasibility study for the Bohol-Cebu Friendship Bridge, funded with a loan from the Asian Development Bank, may start within the year – for completion next year. If bid out immediately after, civil works may start in 2020. Civil works for the Bohol-Cebu Friendship Bridge (BCFB) are initially slated to start in 2020. 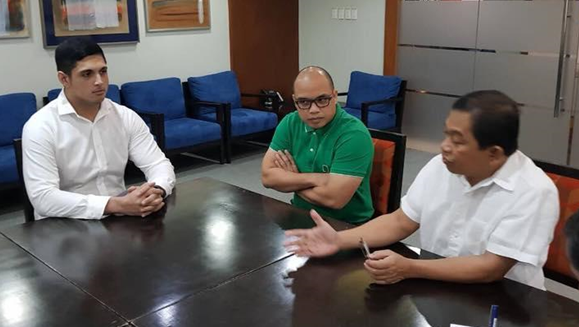 This was bared by National Economic and Development Authority Undersecretary Rolando Tungpalan to Rep. Erico Aristotle Aumentado (Bohol, 2nd District) in a meeting at the NEDA official’s office in Pasig City last week. According to Aumentado, the project’s feasibility study (FS) will be funded with a loan from the Asian Development Bank (ADB). Based on Tungpalan’s pronouncement, Aumentado said that the FS is slated to start this year and is projected to be completed in six to 10 months. If feasible, the bidding for the project may be scheduled in 2019 and the construction in 2020, Aumentado added. The congressman expressed confidence that the bridge will be deemed feasible due to the several pre-feasibility studies and consultations conducted during the incumbency as governor of his namesake father and immediate congressional predecessor Erico Boyles Aumentado. 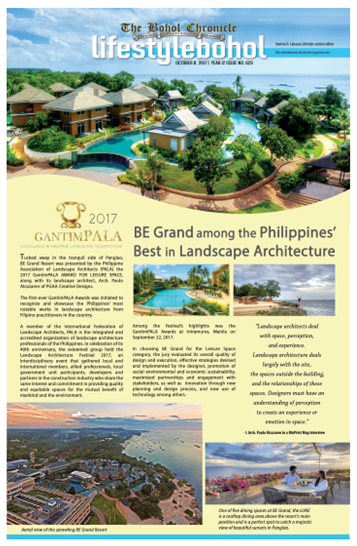 The BCFB, as his father envisioned, will be a 24-kilometer series of bridges and causeways that will link Getafe in Bohol with Cordova in Cebu. It will have several exits along the way to several islands between the two provinces. The senior Aumentado had nicknamed the structure and “three-in-one” bridge as it will also carry cables that will bring more electricity from Cebu province to Bohol. At the same time, a pipeline will also straddle it to bring potable water from Bohol to Cebu. Lately, former Cordova Mayor Adelino Sitoy also introduced studies conducted by his consultants incorporating a railway component into the bridge. This would bolster the string of endorsements the bridge has so far earned. The solon said the BCFB has a soft spot in his heart because it recognizes the efforts of his father. The elder Aumentado has had the project endorsed by the Provincial Development Council (PDC), the Sangguniang Panlalawigan and by the Regional Development Council (RDC). The study will comprise of pre-engineering work, to be the basis for the preparation of the detailed engineering design (DED). “I will see to it that this dream of my father will see fruition,” the son vowed.